The international Hard Rock chain landed in Ibiza in 2014 and since then it has rocked the White Isle with some of the best live gigs and performances taking place on the chic hotel terrace. Located directly next to Ushuaïa and the Ushuaïa Tower, Hard Rock Hotel Ibiza adds yet another element to the entertainment on offer in the popular resort of Playa d’en Bossa. Hard Rock Hotel is famous for bringing a range of different events to Ibiza including the International Music Summit (IMS) which is held yearly in May over the course of three days. The event consists of plenty of networking and music with huge headline acts putting on stand-out performances to the top-dogs in the industry and a congregate of dance music fans eager to see the best. On Friday’s, both melancholic tourists and Ibiza locals can go back in time to the 80s thanks to one of the islands most loved events; The Children of the 80’s. Undoubtably the most charismatic party of the island, this event recreates the décor and the spirit of the golden age. Dress in neon lycra and boogie from 6pm until 12pm to all the best nostalgic tunes sure to evoke many happy memories and make for the ultimate feel-good vibe. 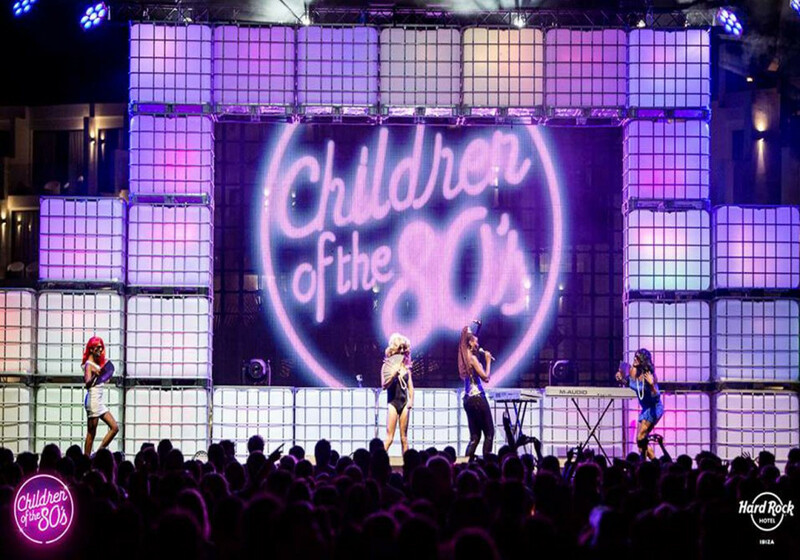 Gala, Vengaboys and Samantha Fox are but a few artists that joined the Children of the 80’s in the past.